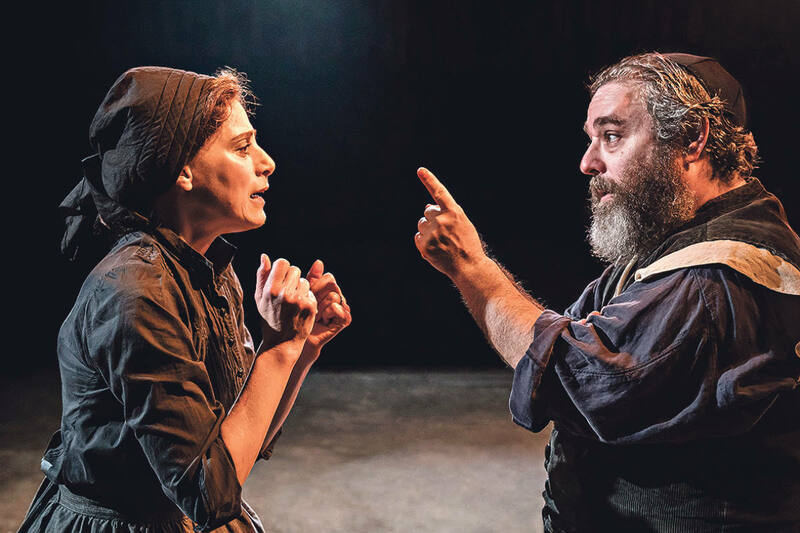 Some actors feel they are born to perform a role – but for Andy Nyman it really was genetics that convinced the award-winning actor he was the perfect choice to play Tevye. 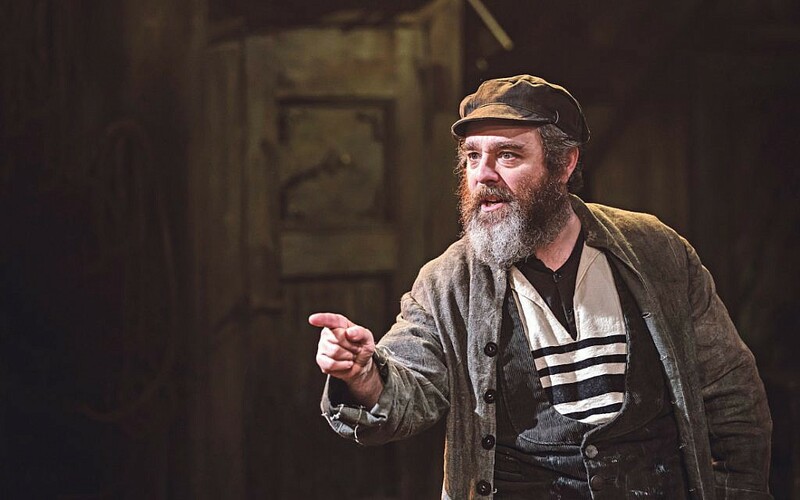 The 52-year-old star of Peaky Blinders and Ghosts Stories (which he also co-wrote) is currently treading the boards as part of Trevor Nunn’s production of Fiddler On The Roof, after the show transferred to the West End this week. When first offered the role, Nyman didn’t see much similarity between “the kid who had his barmitzvah in Leicester” and the tragic-comic milkman from Anatevka, but it turns out he was much mistaken. “As it happens, there’s a huge amount that links me to the role,” he chuckles during a break from rehearsals. “I’ve been married for 25 years in the same way as Tevye. I don’t have five children, but I do have two, who are both grown-up and, like Tevye, I’m experiencing the same pain of wrestling between wanting to keep your children close and letting them have their own independence. Nyman also feels close to the character, thanks to his ancestry. His great-grandparents on his maternal side fled Poland and settled in Leeds in 1905, the same year Fiddler is set, while his ancestors on his father’s side left the Lithuanian shtetls of Kovna and Vilna a few years earlier. He had the chance to travel there five years ago while shooting BBC drama, The Eichmann Show. On a lighter note, there’s also the beard, something the usually clean-shaven Nyman has had to work on getting used to. But he hasn’t been mistaken for a rabbi, as he first thought he might. “Actually beards are so trendy these days that people are more likely to suspect I’m from Hoxton than a rabbi,” quips Nyman who, aside from acting, is a keen magician and helps develop shows with his friend, mentalist Derren Brown. For all his links to the role and Jewish credentials, Nyman remained adamant that the musical was strong enough to stand on its own and be subtle in its message. The “truth” Nyman refers to on one level is a story about a man’s struggles to provide financially for his family, and on another, to keep them safe in an ever-changing world and the threat of persecution. Both are themes Nyman believes resonate strongly with today’s audiences. “One of the reasons I think this version of the show has landed as powerfully as it has is the timing of it – we would be naive if we didn’t say there’s been a visible rise in antisemitism and the issue of it within the Labour Party, so it feels incredibly pertinent. 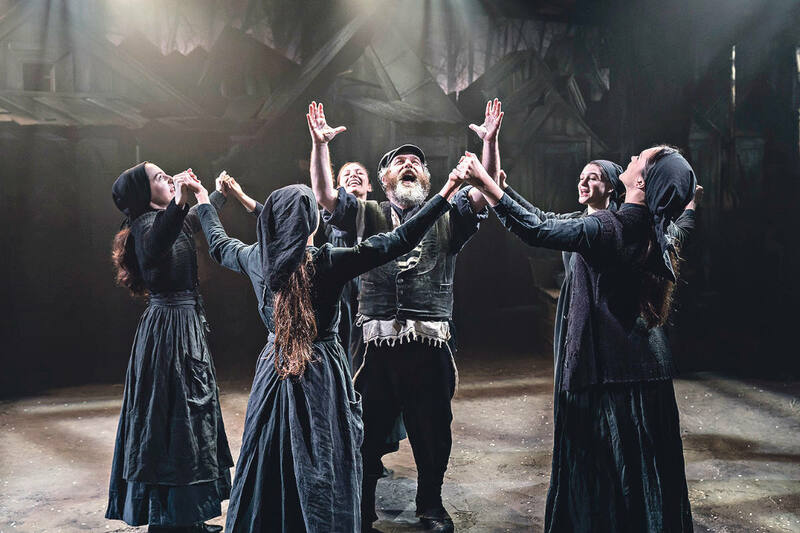 Perhaps that explains why Fiddler On The Roof, based on a series of short stories by Sholem Aleichem, remains one of the longest-running shows in Broadway history. Or indeed why Nyman deems the soundtrack from Jerry Bock and Sheldon Harnick as “some of the greatest ever songs written for a musical”. Among them are To Life, Sunrise, Sunset, Matchmaker and, famously, If I Were A Rich Man. Nyman admits to “pinching himself” before he performs that iconic song. 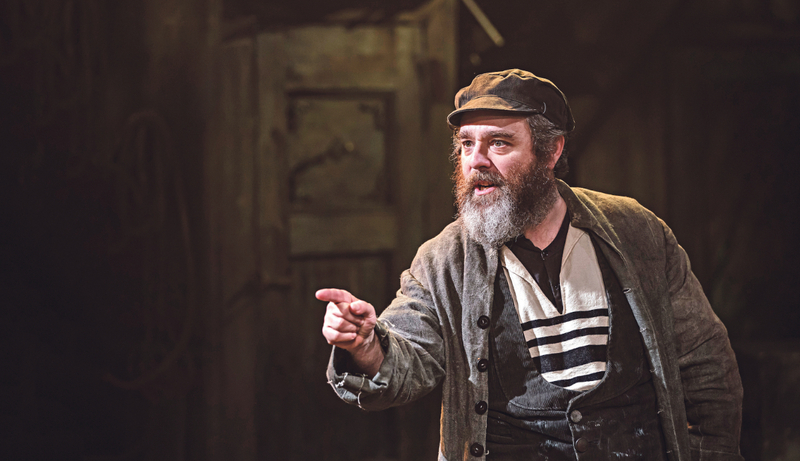 “Every night, when I’m about to go on stage, I can’t quite believe I’m playing Tevye,” he says.